Teeth are the hardest structures in the human body. But even then, they’re not completely resistant to problems such as decay, cracks or trauma. When you need to preserve a damaged tooth or replace it entirely, Dr Meng Quah-Shepherd (Dentist) may recommend a full coverage dental crown or fixed bridge as a reliable solution. Crowns and bridges can also be attached on top of dental implants, for a durable and permanent tooth replacement alternative to conventional bridges placed over otherwise healthy teeth. 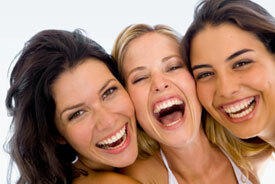 Missing teeth can drastically change your smile’s function and overall anatomy. If the open space is left alone, neighbouring teeth will start to drift inward; opposing arches shift as well. Installing a bridge over the two adjacent teeth provides an artificial crown suspended between them, improving your bite’s function as well as aesthetics. What are Crowns and Bridges Made Of? We use durable ceramics and porcelain blends that match the natural colour of your adjacent teeth but are still durable to withstand everyday wear. It’s important that you brush and floss around your new restoration carefully, to keep the margins around it clean and extend its life. Getting a new crown or bridge usually requires at least two appointments. During the first visit, we will numb and prep the tooth, then take an impression of it and send it to our lab. About two weeks later, your temporary prosthesis is removed, and the handcrafted, permanent one is bonded into place. Experience quality restorative dentistry that’s made to fit your smile. Contact us today to book your next exam!